i have this h/s sound is very good typing is very easy but main problem is camera calarity is very-2 poor . 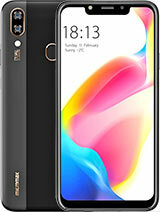 hi i am kavi kumar ipurchased this phone befor 6month and i realy like this phone. 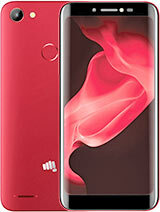 Micromax Q3 handset is little bit heavy handset. the qwety key pad is better then other handset and sound quality is good. over all it is a good handset. very Nice phone. i sold it just for 1000 for buying a new samsumg corby pro gb5310 but after using it i again need to get the micromax q3. very featured phone. the mos usefull feature i like is that whenever a messege is recieved the music player is automatically stoped. and the feature of black list.in which the numbers are blocked. some demerit is only for its look. it does not support any theme. allthought the features are very simple and usefull. nice mobile. i like it. Unlocking the phone is very difficult while in standby mode--no key illumination and hence it is hard to find "Unlock" and "*" keys. The numeric keys' red color is not moderately visible in low light or while on travel. 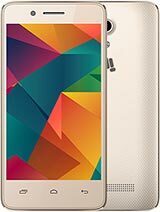 Hi,i am sumit.i am using Micromax Q3 for more than 2 years.i am satisfied with its sound quality and batery life, but i am disappointed by its picture quality,net speed.i have tried alot to connect my Pc to internet with the help of micromax Q3.I couldn't do so. 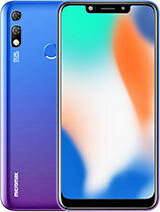 I m using Micromax Q3 from last 2 yer.Its sound quality from loud speaker is good but its recivers speaker is too low.Its Camera Quality also soo Poor.Battry life is too good but java is too slow,Opera mini & Other apps. taking too much time to open.Its so easy to opreate & specially for typing.Its looks are soo good..! At least we can say that Its not soo good Phone but its sufficient for its price rate.! umbers in red cannot be seen low light. The only reason I bought this is to use it with my computer; the shop had cheated me; it never works on computer. The incoming volume is too low. Songs in memory card donot play all; plays only one song and then we have click the button again. Picture/camera quality is not bad but poor. Design is very lovely and beautiful. select save and you will get there activate option and activate your profile............. open your internt you will be able to access if not able to access than switch off mobile and switch on it........ and keep balance as per your network provide condition...........!!!!! Every thing is good but battery life is not fare, more over no new battery is available in the market. The mobile cannot be connected to the pc for browsing internet. i like this set but it has a demarite it cant use in fire i dont know the reason it should be fire proof with a man. 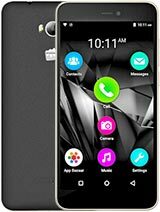 Total of 184 user reviews and opinions for Micromax Q3.